Europe is a great continent for any person looking to travel on a budget. With an insane mixture of cultures in such a small area, you’re bound to get the most bang for your buck if the road ever takes you here. However, some places are more special than others, and today, I’ve decided to take you on a tour of the cheapest European cities you have to visit. These are not just the cheapest cities you can find, each one has plenty to offer even to the pickiest of travelers. Each and every one of these places is dear to my heart, and I can only hope that they will leave the same impression on you as well. Still, enough with the intro, let’s get down to business! Sitting right in the middle of the Balkans is the wonderful city of Belgrade, a destination from which you need to start your exploration of Europe. However, there’s only one problem with that plan – you might never want to leave this place. In my humble opinion, this city is the most underrated tourist attraction in the whole of Europe. First of all, compared to most other European capitals, it’s dirt cheap for most tourists. Furthermore, with a crazy combination of modern buildings and real fortresses located in the very heart of town, it’s unlike anything you’ve ever seen before. I’m talking about Kalemegdan, a breathtaking vintage military stronghold that’s completely free to visit. The Orthodox Church of St Sava is the second largest building of its kind in the world, and a place you should definitely check out. Let’s also mention the shopper’s paradise, otherwise known as the Knez Mihailova street, located right next to Kalemegdan. To end the day, move on to the bohemian quarter located nearby for a delicious plate of cevapi, grilled minced meat, or sarma, cabbage rolls filled with, you guessed it, minced meat. Once you try it for the first time, you’ll keep coming back. Wash it all down with some locally produced wine and call it a day. To put a cherry on top, the locals, who are the most fun-loving bunch you’re ever going to meet, will do everything in their power to make you feel like you’re more than welcome. You cannot say that for many other places. Do you want your beautiful sights and gorgeous views? I’ve got the treat for you right here. As most people would recommend, I’d also say that a great place to start is right from the city center, looking at the infant Jesus of Prague. In case you’re a sucker for vintage building with gothic architecture, much as myself, you’ll love the Old Town Square, with its multitude of jaw-dropping sights. Take a tour on the Vltava, a river that flows through the very heart of town, and enjoy the views of gorgeous castles located on the surrounding hilltops. If you bring your partner along, you’re bound to enjoy this romantic tour even more. However, when it really comes down to it, Prague is just so much more than just a place with gorgeous architecture. It has the blues, jazz, folk music, and the unique character that makes it unlike any other place, I truly mean it. It goes without saying that I would be foolish not to mention the finest selection of beer you’ll ever gonna taste in your livelihood! If all that alcohol starts taking a toll on you, sit down over a popular dish, pork knuckle, which will make you rethink your life priorities. To summarize, Prague is a drop-dead gorgeous place, with food and beverages to make a grown man weep with joy. What’s not to like? In my mind, this incredible historical city has the most astounding parliament building you’ll ever see in your life. Seriously, this thing is simply gigantic! I dare you to find an angle in which it doesn’t look astounding. Take a walk down the Danube promenade and soak up the experience, as you will be able to check out most of the famous monuments right from the river bank. Naturally, when the sun comes down, this place comes to life, and trust me, the locals know how to party! Don’t even get me started on the food. If you are anything like me, you more than enjoy a spicy meal from time to time, which brings me to my next point. If you leave Budapest without tasting their traditional dish, known as goulash, it’s like you’ve never been here in the first place. In case the colder climate gets to you, just stop by any of the many restaurants you’ll see along the way and have a taste. It will heat you up and fill you with energy to continue with your exploration of this tremendous city. Compared to Barcelona, this place is a lot cheaper. Still, with just-as-great seaside looks and gorgeous architecture, you won’t have a feeling that you’re missing out on anything. Quite the contrary, if I may add. On first look, this place combines concepts that seem to be on the opposite sides of the spectrum. Representing the cultural side of the city, you have Lonja de la Seda, a gothic citing which is a stunner. Furthermore, if you want to experience that old charm, head over to the Central Market, a paradise for tourists as well as locals, looking to quench their thirst for shopping. On the other hand, there are modern structures, such as the City of Art and Science, as well as L’Oceanogràfic, a brilliant aquarium filled with sharks and other exotic types of fish. When you get the munchies, try tapas, a combination of delicious tortilla topped with salsa and different sauces, and Sangria, which is, of course, the world-famous sweet wine. Even if you had it before, trust me, you need to sit in a cozy restaurant with a seaside view to truly get the experience of a lifetime. Valencia also has some of the friendliest locals I’ve ever seen, which raised the overall experience to the next level. I give this place a huge thumbs up! It’s jokingly referred to as the Vegas of the Baltics, with plenty of booze and legalized gambling joints to have your fun in. It’s not as if I would ever visit such a place, I heard all about it from a friend… Anyways, if you’re looking for a place where you can get the most value for your hard-earned cash, Riga has to rank near the very top. The city has a gorgeous, although smallish old town area, which is just brimming with impressive vintage buildings. You won’t see any huge modern-age constructions here. Locals truly appreciate their heritage, and enjoy in their charming, yet traditional architecture, with some of the buildings being built 5 centuries ago. When it comes to local cuisine, I have to admit that I wasn’t impressed at the start, just by looking at the menu. Finally, after some time, I decided to stick to the traditional dish, sauerkraut, which was served with roasted meat of some sort and the inevitable boiled potatoes, and my world, did it taste amazing! As I’ve come to find out, even such a simple dish can have many variations that simply blew me away. While I’ve only visited it once, Riga still remains a fond memory, and a destination I will admire for the rest of my life. Located on the very edge of the continent, where Europe meets Asia, Istanbul presents a fascinating mixture of cultures you won’t be able to find anywhere else in the world. However, be warned that Istambul is absolutely massive, so take at least a couple of days of your schedule to explore the nooks and crannies, or you’ll just end up being overwhelmed by the sheer magnitude of this popular tourist destination. There’s another thing worth mentioning about Istanbul. While it is considered generally cheap, I wouldn’t necessarily recommend it for compulsive shoppers. With literally hundreds of shops located in the area known as the Grand Bazaar, you’ll burn a hole in your wallet in a hurry if you’re not careful. Naturally, among many different popular attractions, the Blue Mosque is a must-see, as well as the Hagia Sophia. Just be ready to face the sea of tourists on your way there. To end the day, treat yourself with baklava, a traditional Turkish delicacy which is to die for, albeit it can be a bit too sweet for some people, so make sure to bring your water along. When that sugar rush kicks in, you will have plenty of energy to keep on with your adventures. In case you ever find yourself in Europe, looking for a nice weekend getaway, I’d say that Krakow is a godsend. Two and a half days are a perfect measure for this place – just enough to see everything, and still maintain that nostalgic feeling that makes you wish to come and visit it again. In case you didn’t know, Krakow is considered as one of UNESCO heritage locations, and it’s a well-deserved honor. The place where most first-time visitors first flock to is St Mary’s Basilica, which is both absolutely jaw-dropping and free to enter! What is not free, but is a must-visit is the dreadful Auschwitz concentration camp. Even if you’re not a history buff, this place will fill you up with chills and leave a long-lasting impression that will be hard to shake off. With a huge town square, one of the biggest in the whole of Europe, Krakow is a hiker’s dream. However, it’s not like it has nothing to offer when it comes to fine cuisine as well. Traditional homemade sausages with roasted potatoes make my mouth salivate even now, just from thinking about it. Wash it down with amazing beer, or vodka with the locals, if you’re brave and you’re guaranteed to have a great night out. That is if you can remember it the next day. Plenty of budget airlines go to Lisbon, which makes the transport a thing of beauty. It’s not as if you can say that for many European cities, I can tell you that much. To make things even better, if you decide to skip the fancy hotels, and stick to AirBnB, like any conscious traveler would, it can be pretty cheap to stay in as well. However, enough with this, let’s talk about more interesting things that make Lisbon stand out. The first of many is Torre de Belém, a fairytale-like tower, located right at the seafront. I can spend hours just looking at this thing and admiring it. St George’s Castle, which stands at the very top of the city is a worthy mention as well. Now, I decided not to bore you with many different museums and monasteries you need to visit while in Lisbon, but if you are into such things, you’ll have a field day. Their most famous dish, which is a combination of dried codfish and different vegetables might not look all that appetizing, but it’s well worth it. However, if you want to stay on the safe side, pick any item of the menu containing fish, and you can do no wrong. I’d love to go to many of the cities on this list, but the only one i’ve been to so far is Istanbul. Like you mentioned, the Hagia Sophia, Blue Mosque, and Grand Bazaar are all amazing. My wife and I also really enjoyed Topkapi Palace and a cruise on the Bosphorus. Turkey is one of the most affordable destinations. 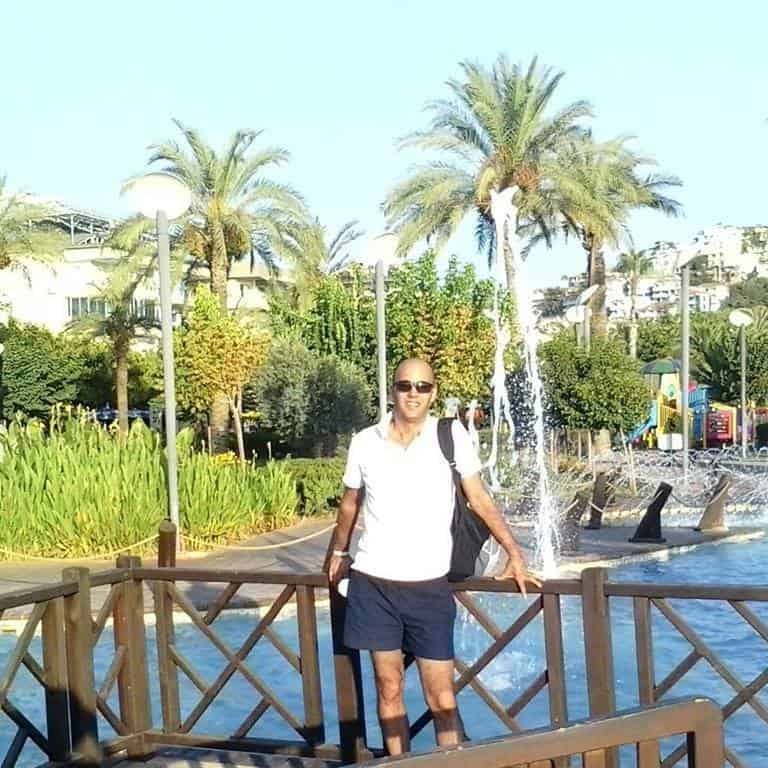 I was on an all-inclusive vacation in Alanya Turkey. 5 star resort for $1k.